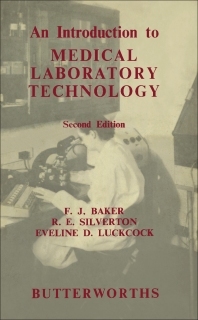 An Introduction to Medical Laboratory Technology, Second Edition provides information pertinent to medical laboratory technology. This book discusses the importance of laboratory technology in hospital practice. Organized into seven sections encompassing 33 chapters, this edition begins with an overview of the role of the medical technologist in the diagnosis of disease by the use of certain accepted laboratory methods. This text then explains the general types of glassware that is widely used in medical laboratories. Other chapters consider the main methods of estimating the sugar content of body fluids, methods in feces and gastric analysis, and microscopical and chemical examination of urine. This book discusses as well the microscopic examination of bacteria, which necessitates making smears and hanging-drop preparations on microscope slides. The final chapter deals with some aspects of elementary physiology. This book is a valuable resource for students and junior technicians, as well as for qualified technologists and medical students.